Reger Rizzo & Darnall partnered with two local non-profit organizations to provide children in the Philadelphia region with gifts this holiday season. 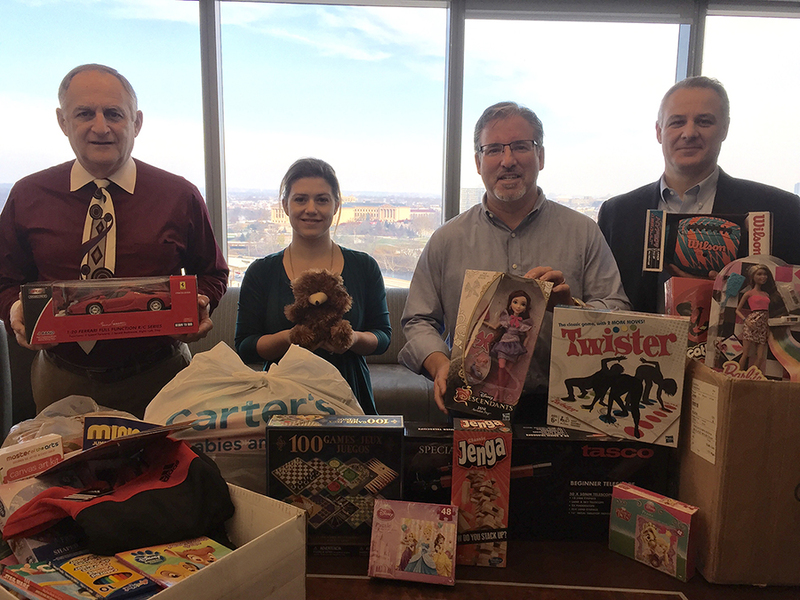 Over the course of the past four weeks, the attorneys and staff of Reger Rizzo & Darnall donated more than 175 toys, games, gift cards and articles of clothing to Northern Children’s Services and the Support Center for Child Advocates in support of their annual holiday drives. James Griffith, Partner in Reger Rizzo & Darnall’s Litigation Group, coordinated a drive for the Support Center for Child Advocates (SCCA). The SCCA provides legal assistance and social service advocacy for abused and neglected children in Philadelphia County. Additionally, Reger Rizzo & Darnall Partner Robert Small coordinated a drive for Northern Children’s Services (NCS). NCS supports the healthy development of children, while stabilizing their families to build stronger communities by providing a continuum of care to children and their families across the Greater Philadelphia region.